If you don't support the site with money we'll show ads INCLUDING gold selling ads. Worthless, knowing YOU are the top WoW fan site and to do this...? Shame. I don't see any ads with ublock and adblocker. 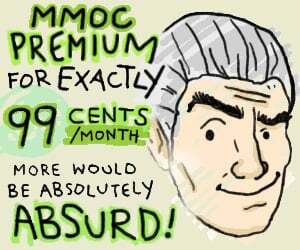 I highly doubt MMO-Champion intentionally shows gold selling ads. I'd suggest reporting the ad in question to chaud, I think there is a topic somewhere in the Suggestions and Feedback forum. I've reported so many ads... This website is unusable on mobile. And that's how it'll continue to be. When I get that full screen ad telling me I've won a $1000 Walmart gift card..? All mighty dollar. This makes one wonder what sites you've been to if you're getting gold selling ads. Are you implying MMO-Champ is keeping tabs on my browsing history..? let's not go there, please. You clicking yes to something without realising what you're clicking yes to while accessing sites. Extremely likely. Game is playable again thanks to that Algalon nerf. BFA just got saved! I can barely solo Algalon on my 120 hunter...thank you blizz for this nerf! The change to grievous is really nice. Glad to see that. The mythic Uldir nerfs are nice to see, too. Uldir has been a bummer of a raid. Overtuned on mythic for a first raid, too. Just my two cents. How many times can Mythic Fetid be nerfed? This must be some kind of record by now. It's also kinda hard to keep track of it though, because the same nerf/change tends to be reported on multiple times. First there's a twitter post, then MMO-C posts that twitter post, then a few days later it shows up in a list of hotfixes, and maybe a few weeks later it shows up in official patch notes. The line between something old being listed again, and something new being reported is very much a blur. Too late for Mythic nerfs... my guild is already dead. And we won't come back for another Troll raid... There are so much troll sh*t in the game. Where is a draenei raid? I for one don't think those nerfs are, 'nice'. Maybe you do like to be spoon-fed cuttind edge, though. I'm guessing blizzard has some sort of benchmark for how many guilds achieve CE every tier and tune accordingly. "Free CE's for everyone" is an over exaggeration, a hc guild wont be able to clear mythic due to these nerfs. Herald of the Titans achievement can only be obtained by level appropriate players (80) wearing appropriate gear (used to be 226+232 weapons). With recent item squish, they had to adjust old bosses and it seems that Algalon was somewhat overtuned for players who tried to obtain the achievement. With this nerf, he shall now be known, once again, as AlgaLoL. Maybe you do like to be spoon-fed cuttind edge, though. Who cares if bad players get CE? As far as a lot of players are concerned, if you don't have CE by now you don't deserve it, you got the nerf of 10 RA stacks and a ton of gear, whole raid is significantly easier now than it was before. But CE doesn't matter, top 100 is a totally different world to top 500, they aren't seen as anywhere near equal just because they got a little achievement. That's all it is, a meaningless achievement. World rank means much more.